The earth is a noisy place. 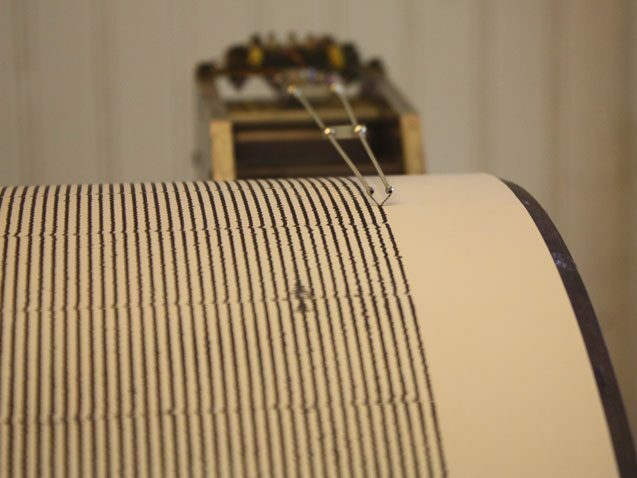 Seismometers, which measure ground movements to detect earthquakes, volcanic eruptions, and manmade explosives, are constantly recording smaller vibrations caused by ocean waves, rushing rivers, and industrial activity. In a new study, Gualtieri and her colleagues have found that those seemingly trivial blips can actually encode the power of hurricanes moving over ocean waters. The findings may make it possible to estimate the strength of past hurricanes, to reveal how climate change is influencing the severity and frequency of these storms. Simulation of Ambient Seismic Noise in the Northern Hemisphere, 2012. From seismicsoundlab on Vimeo. Scientists have known since the beginning of the 20th century that large storms in the ocean, including tropical cyclones (also known as “hurricanes” and “typhoons”), leave their signatures in seismic data. The signal comes from the ocean waves generated by the hurricane’s strong winds. But they’re not just any waves. “The waves you see when you go to the beach are not enough,” says Gualtieri, who led the study as a postdoctoral researcher at Columbia University’s Lamont Doherty Earth Observatory. Instead, tropical storm vibrations mainly come from complex interactions between waves, and from pressure fluctuations at the top of the ocean, which generate up and down movements in the water. Those waves hit the seafloor and vibrate the earth. Although hurricanes have been known to leave a fingerprint in the seismic record, extracting much useful information from those fingerprints has proven difficult. Until now, most studies trying to extract tropical cyclone data from seismic noise focused on individual storms. By contrast, Gualtieri and her colleagues analyzed 13 years of tropical cyclones in the northwest Pacific Ocean. The team used data from seven seismometers stationed in eastern Asia and on islands in the Pacific. 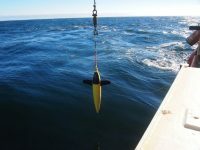 “It doesn’t matter if the seismometer is at bottom of the ocean or on land,” Gualtieri explained. “You can detect those signals everywhere on Earth.” Data on typhoon intensity came from satellite measurements. The team used the first 11 years of data to train a computer algorithm to recognize tropical cyclones in the seismographs and to estimate each storm’s intensity. For the remaining two years, they let the computer estimate intensity based on seismic data alone. The algorithm’s estimates matched up well with the satellites’ measurements. This suggests that the signatures in the ambient seismic noise can be a reliable source of information about tropical cyclones. Seismic data can’t compete with satellites when it comes to making hurricane forecasts. But it could help to improve forecasts for what climate change has in store for us. Climate models suggest that global warming is making hurricanes more intense. However, the actual data is limited, because satellite measurements of hurricane intensity only date back to the 1960s and 70s. “It’s always a problem when we try to see if there are trends or not, because our data sets are too short,” says co-author Suzana Camargo. She studies tropical cyclones at Lamont-Doherty Earth Observatory. Seismic recordings, on the other hand, could let scientists look further back in time. After the team refines its algorithm with more data from other ocean basins, the seismic record could add several decades to our knowledge of tropical cyclone activity. That, in turn, would help climate scientists predict what’s going to happen to hurricanes in the decades to come, says Camargo. The paper was published in Earth and Planetary Science Letters. 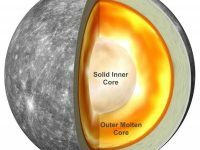 The other authors include Salvatore Pascale from Princeton University and the Geophysical Fluid Dynamics Laboratory/National Oceanic and Atmospheric Administration; Flavio M.E. Pons from the University of Bologna, and Göran Ekström from the Lamont-Doherty Earth Observatory. Gualtieri is now a geoscientist at Princeton University. This study was supported in part by NOAA Research’s Modeling, Analysis, Predictions, and Projections Program (MAPP).